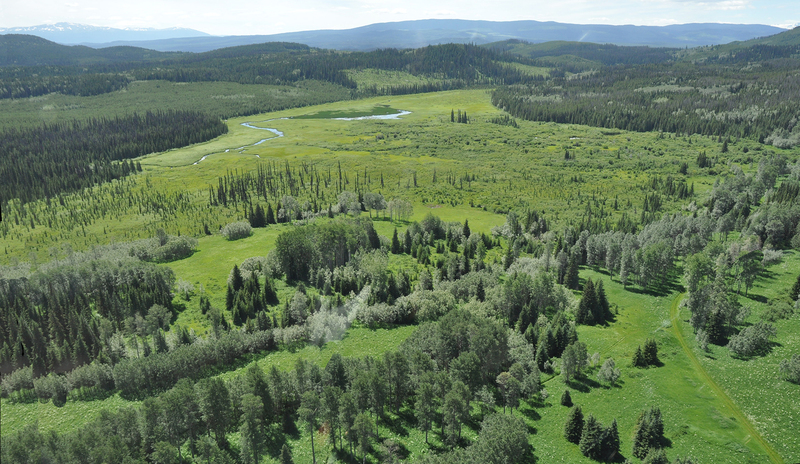 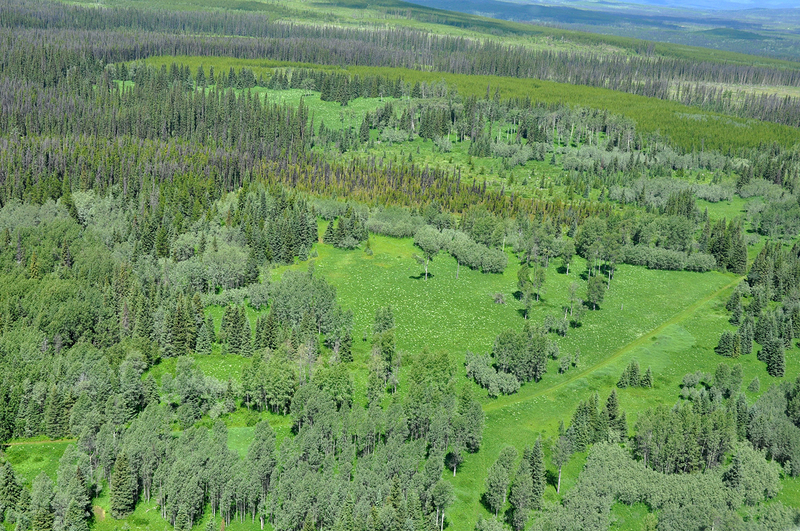 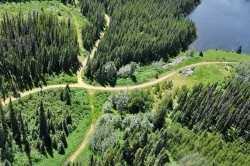 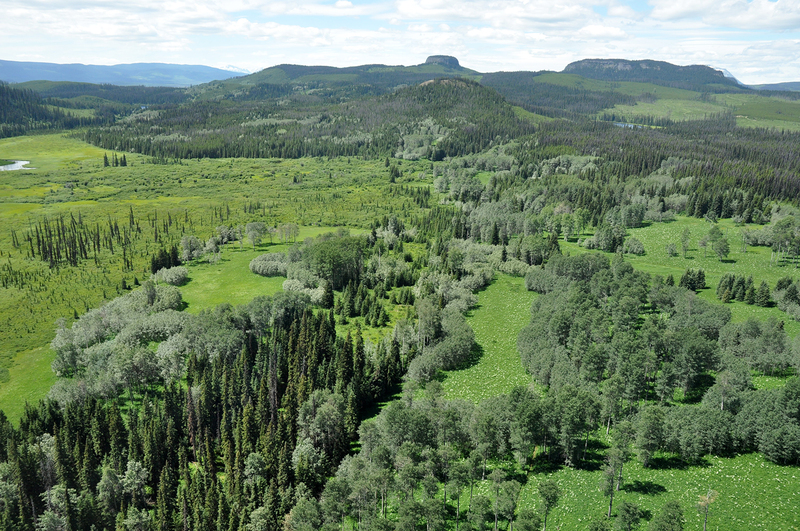 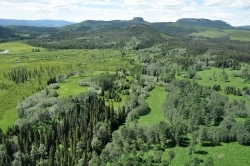 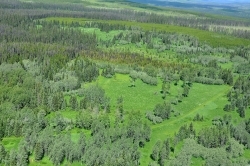 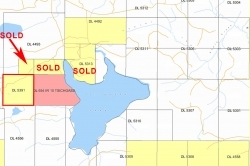 Poplar Creek - Welcome to NIHO Land & Cattle Company Ltd. 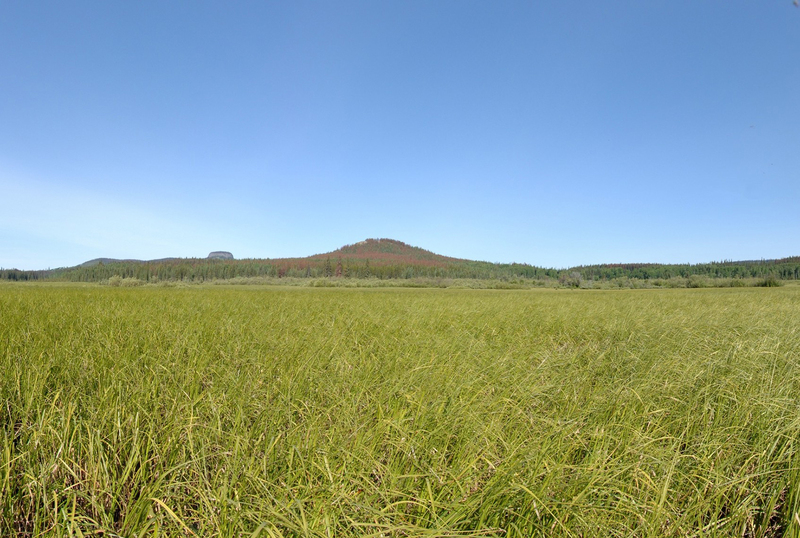 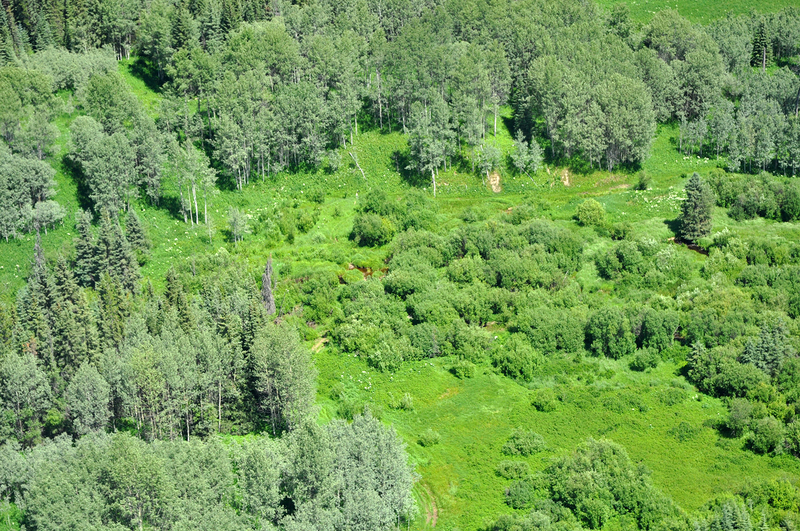 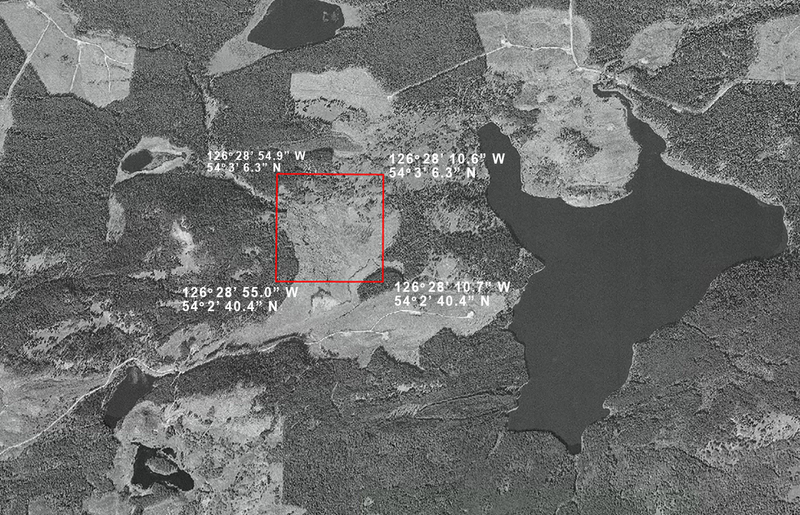 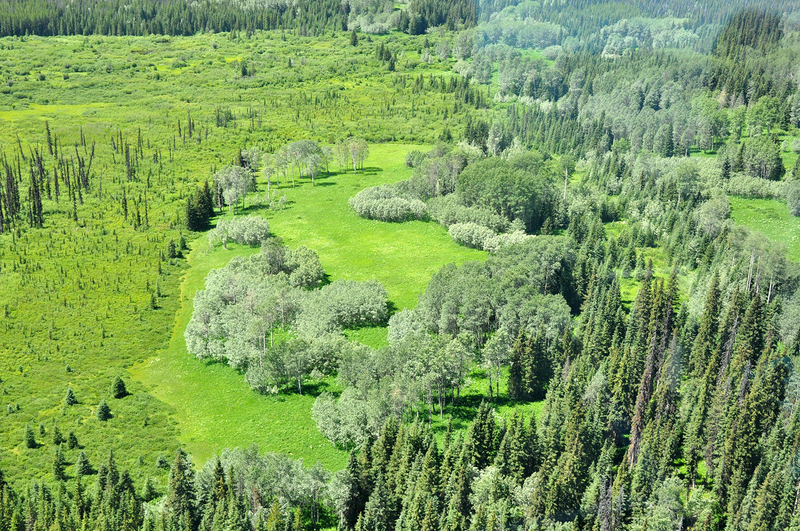 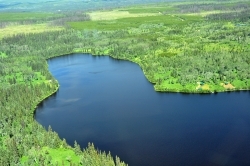 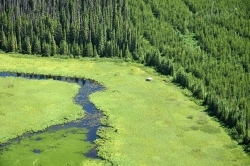 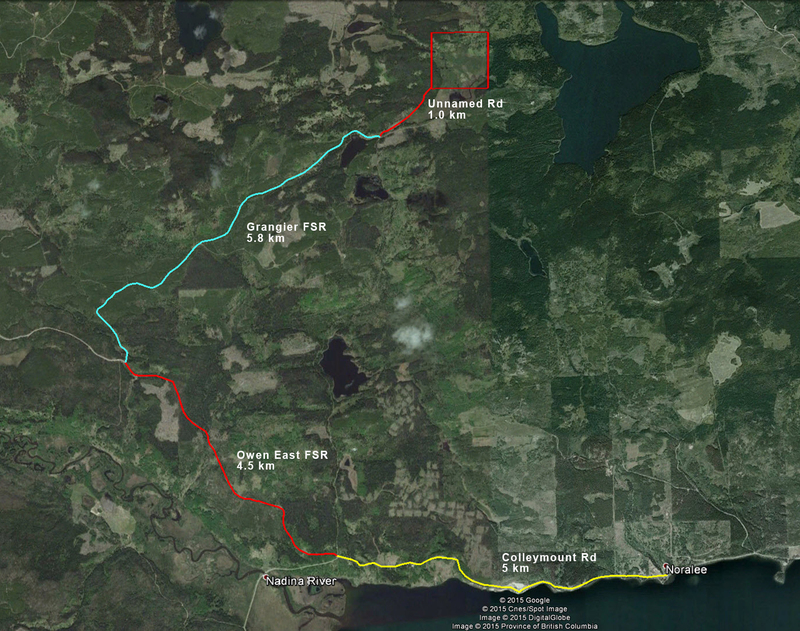 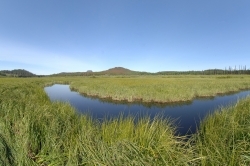 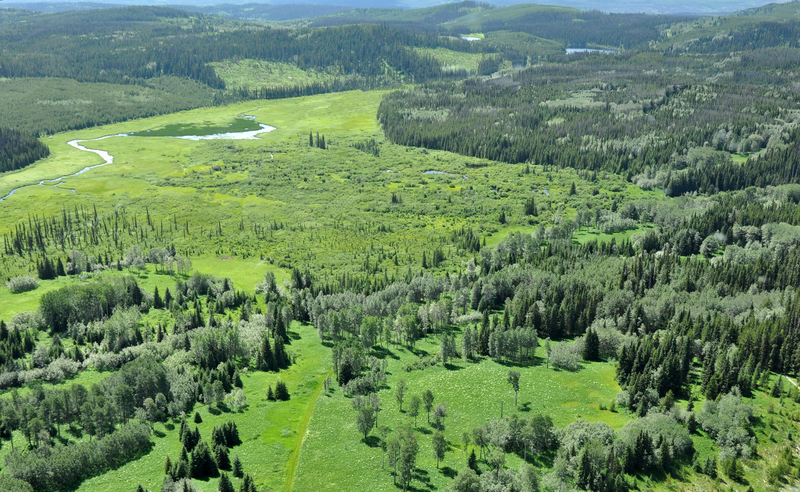 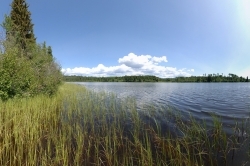 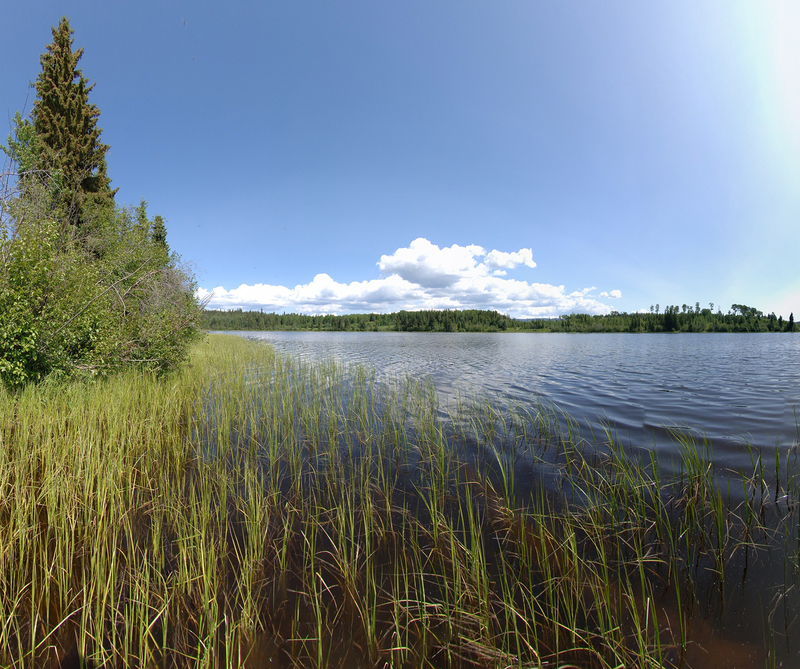 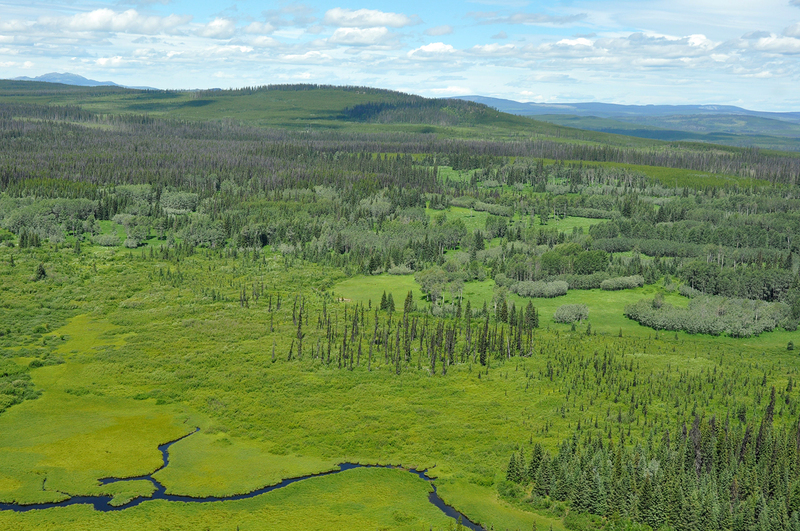 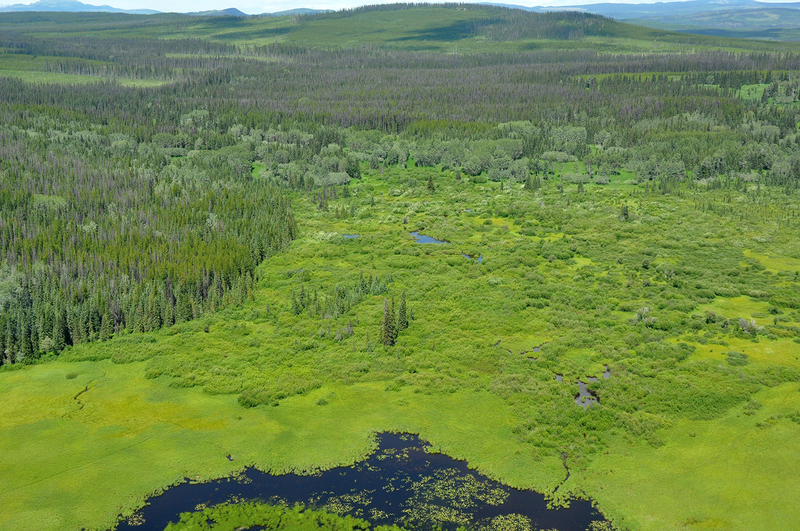 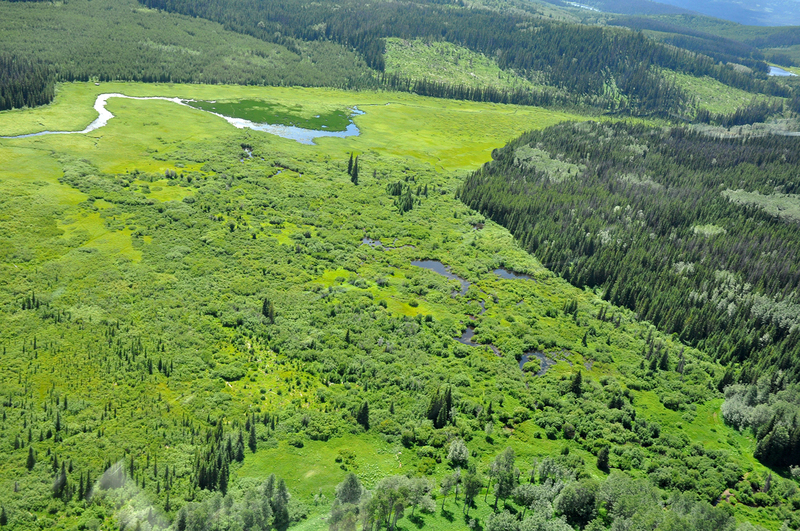 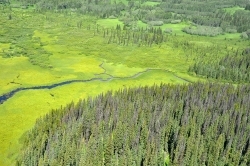 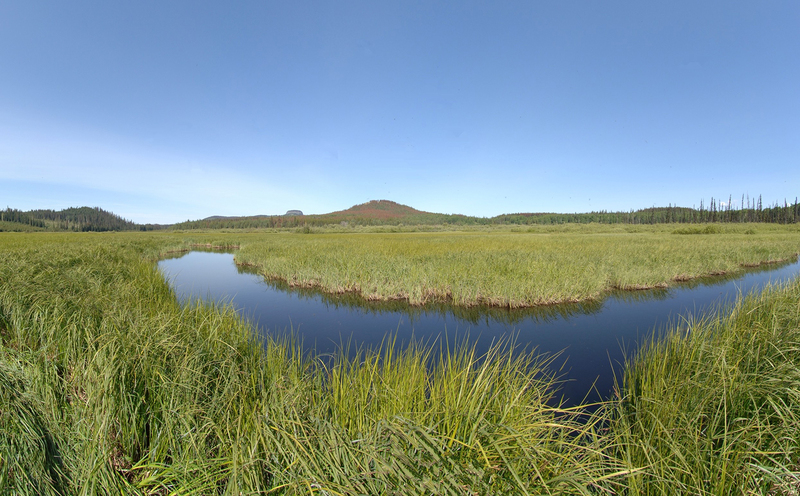 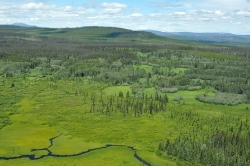 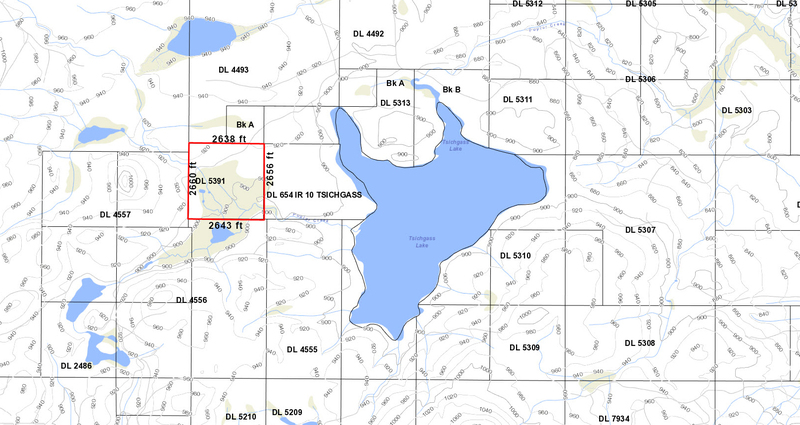 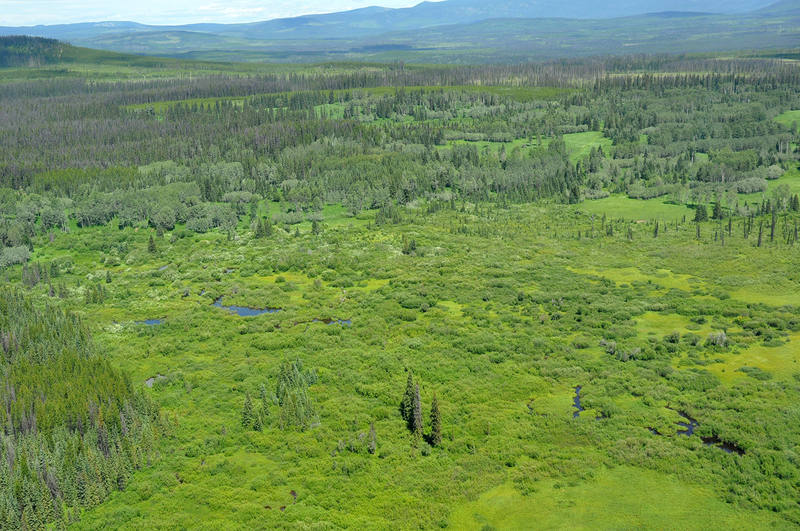 This 160 acre property is further back from Tsichgass Lake than some of our other properties. 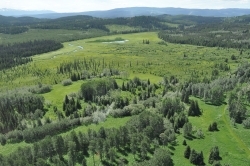 The 60 acre benchland on the northwest section of this property consists of beautiful grassy meadow, with some perfect building sites. 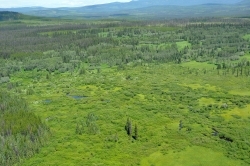 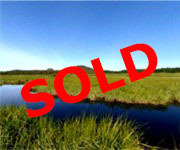 The remainder of the property is private wetlands, deep enough for canoe access, depending on the time of the year. 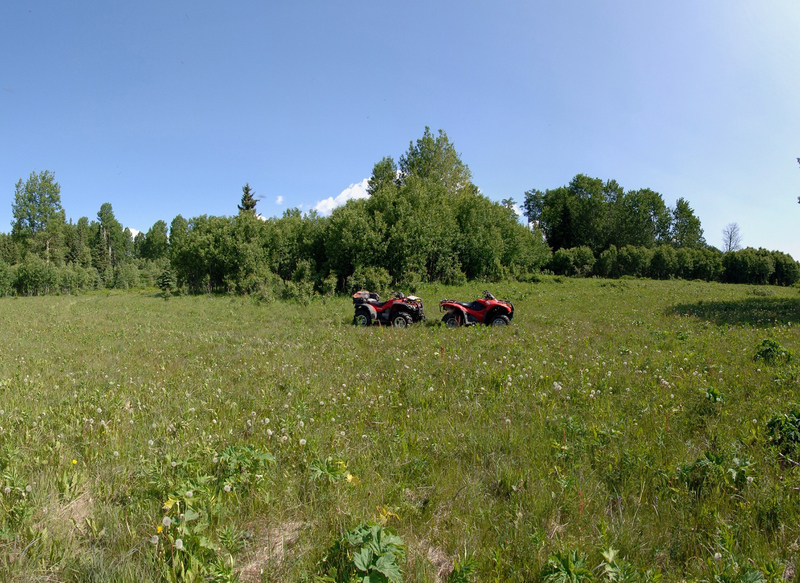 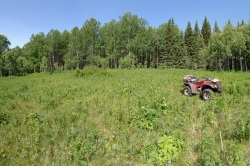 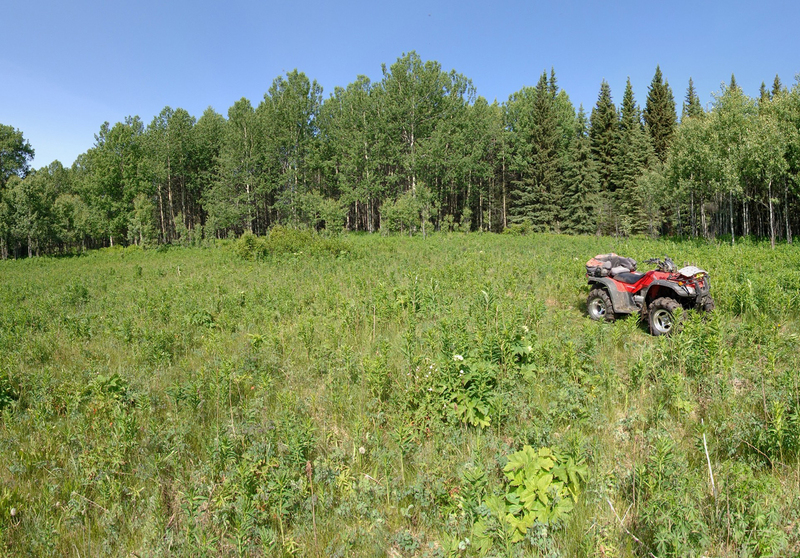 This acreage provides you with excellent wildlife viewing and hunting opportunities. 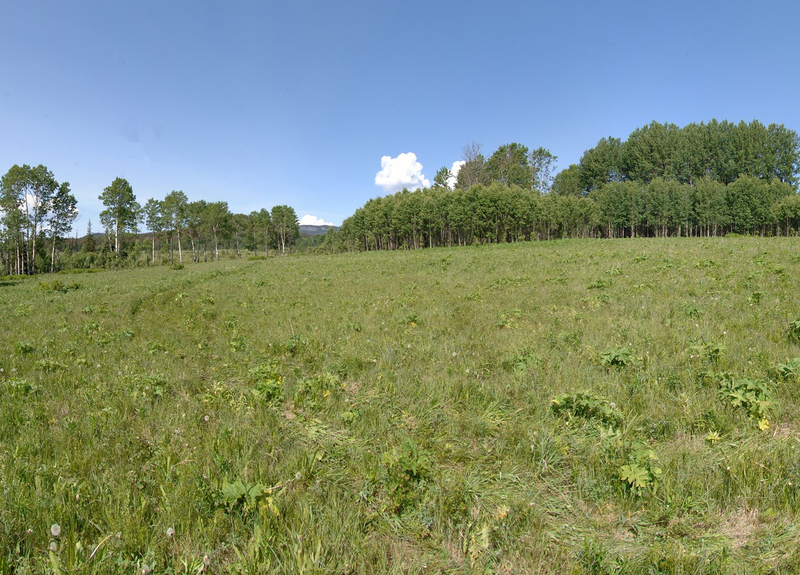 There are some scattered stands of aspen and spruce. 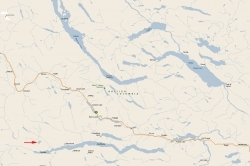 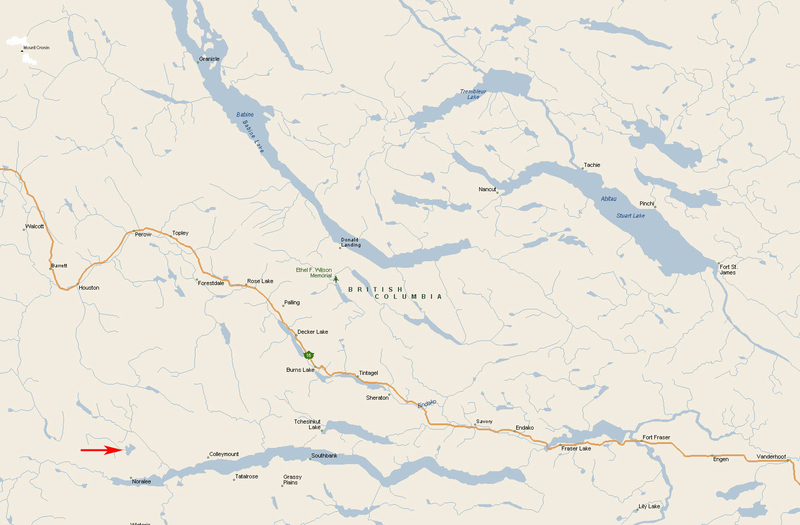 The nearest commercial airport is at Smithers, located about 2 hours away. 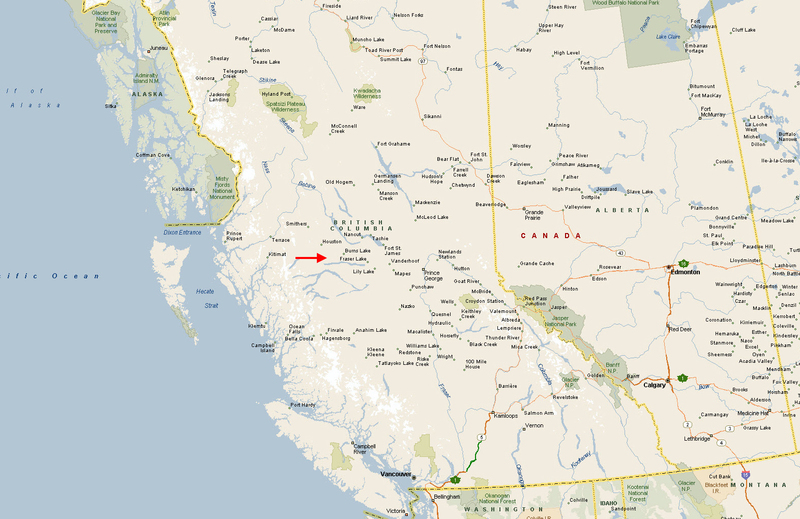 Regular air service is provided by Air Canada’s Jazz Airlines , Central Mountain Air , and Northern Thunderbird to Vancouver and other points in British Columbia. 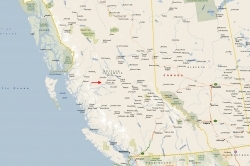 The Smithers airport expanded its runway and upgrade its operations with federal and provincial funding. 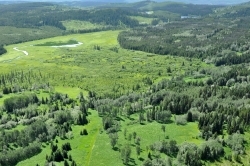 Prince George Airport is the regional airport for Northern B.C., and is expected to play a key role in the economic development of the area. The airport has undergone a major expansion, renovating its runways and international cargo plane fuelling capacity. 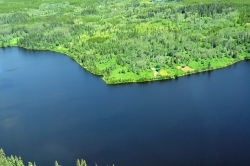 The airport can accept 747 airplane landings and has an International Customs and Canada Border Service area for international charter flights. 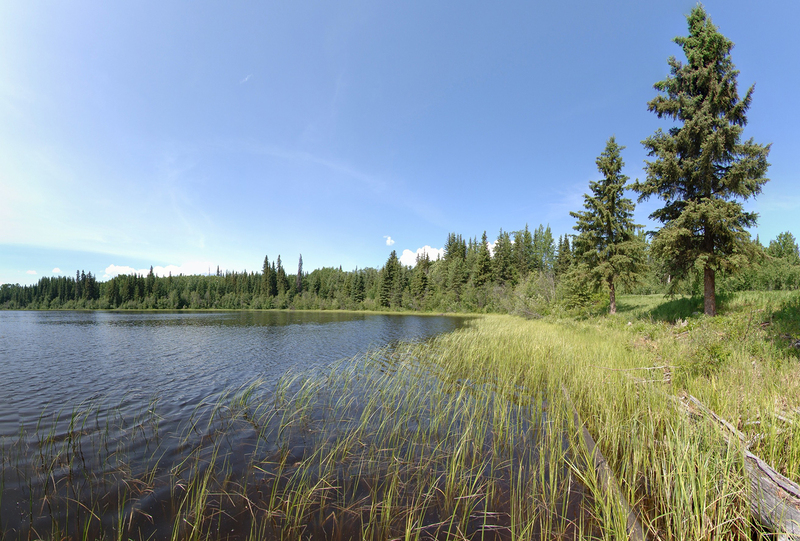 Burns Lake is internationally renowned for its mountain biking trails, becoming Canada’s first IMBA Ride Centre (Bronze-level). 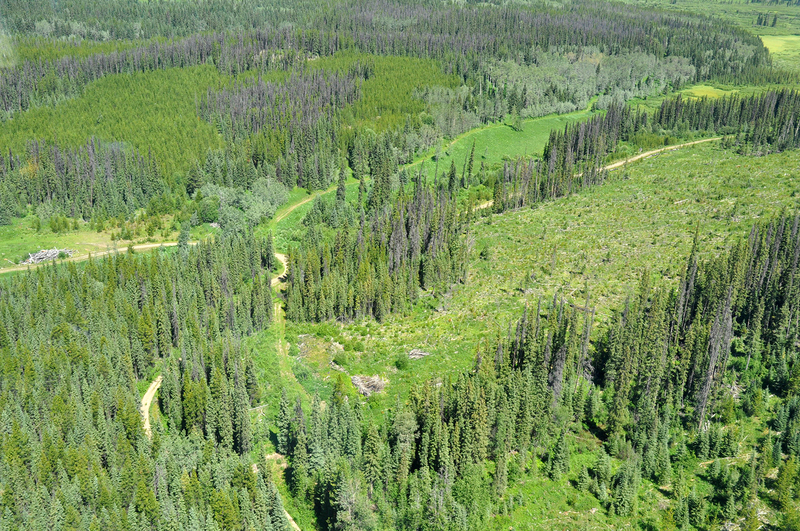 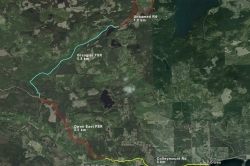 Since 2006, the Burns Lake Mountain Biking Association has been working with trail professionals to build more than 40 km (25 mi) of singletrack, 20 km (12.4 mi) of downhill trails, and four bike parks. 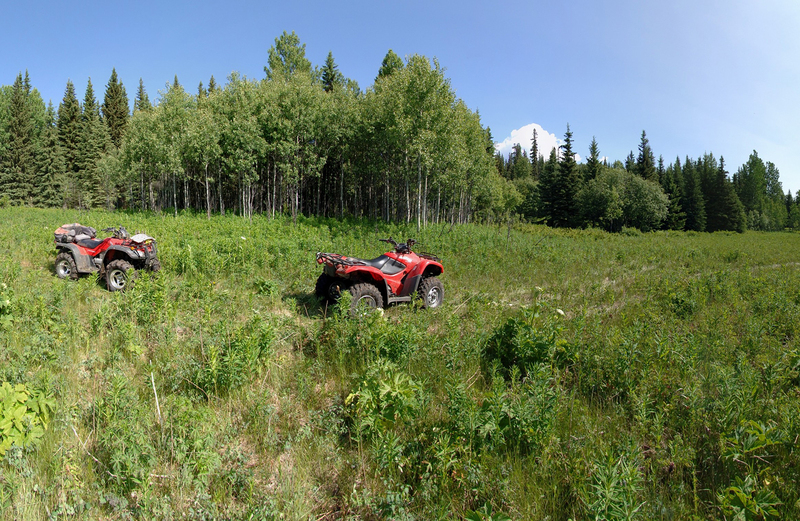 The signature downhill trail—When Pigs Fly— contains more than 100 berms, tabletops, and other features and is accessible by one of the many shuttles run by the local bike shop. 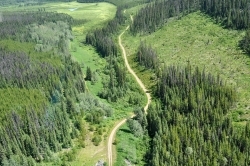 In the winter months cross country skiing is very popular at the Omineca Ski Club. 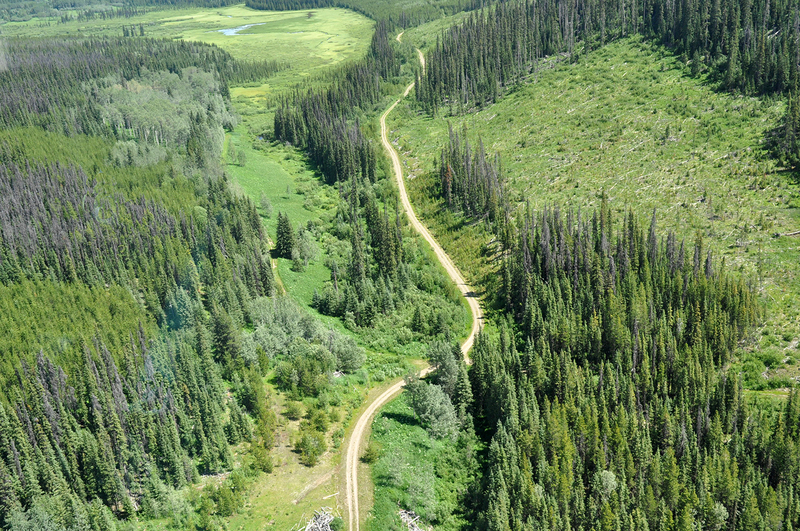 Its facilities have hosted several national championships and rank among western Canada’s best trail networks. 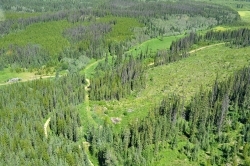 The facilities include 25 km of groomed trails, four km of which are lit for nighttime skiing. 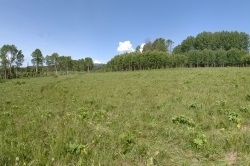 There is also a facility for biathlon skiing. 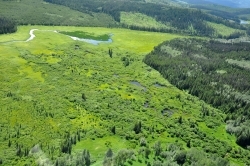 Poplar Creek is located within the Lakes District which is noted for sunny skies and moderate rainfall of less than 20 inches per year. 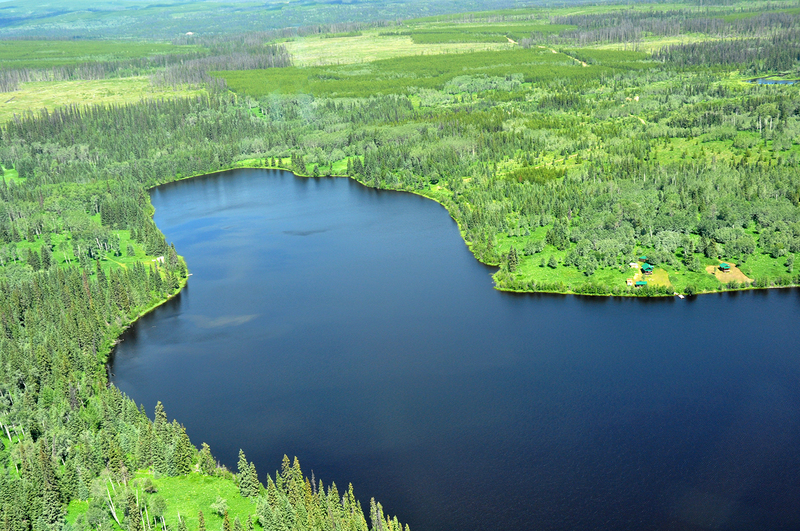 This area is known for clean air, friendly people, inviting lakes, wandering country roads, abundant wildlife and the spectacular beauty of nearby Tweedsmuir Provincial Park. 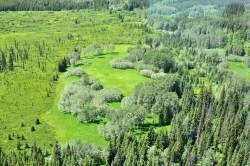 This property has aspen and spruce trees. 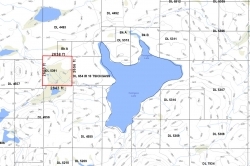 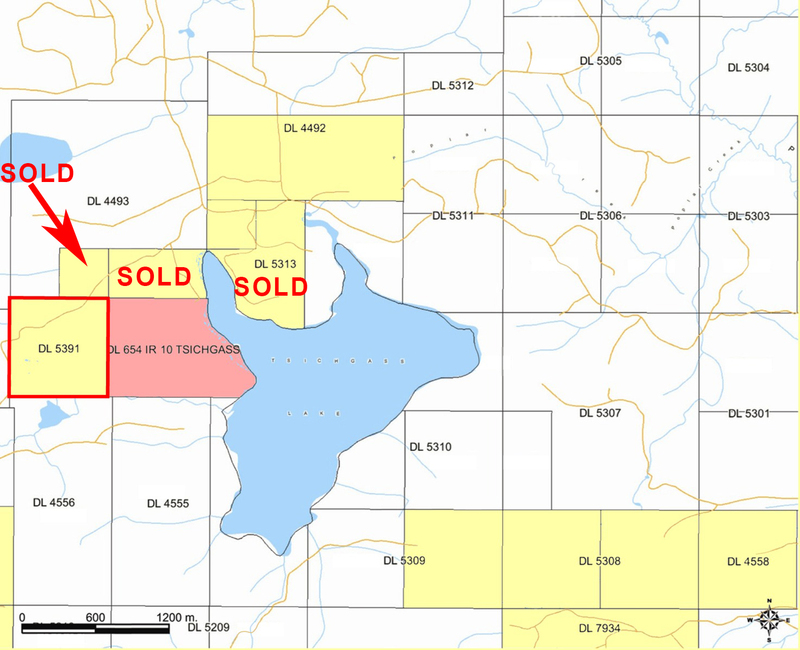 Zoned RR1 (Rural Resource). 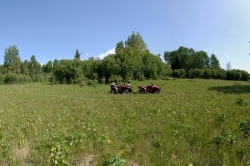 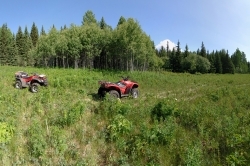 Agriculture, single, multiple and seasonal dwellings, logging and silviculture, guest ranch, rural retreat, unpaved airstrips and helipads are permitted here. 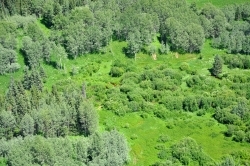 Dwellings on the property are restricted to four seasonal dwellings, two single family dwellings or one two family dwelling. 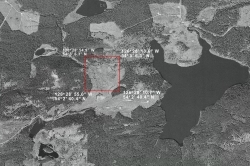 This property is not within the ALR .